Which characters do you find most difficult to remember? The answer to that question will of course vary between learners. Personally I remember finding 疑 really hard. The best way of learning these tricky characters is to deal with them decisively. Cramming works in some cases, but it’s inefficient and you will keep forgetting the same characters over and over. It’s also frustrating and makes learning Chinese a chore. Understand the character – This should be the first thing you do with any character, not just those you have problems with. Do you understand how the character is composed? You don’t need extremely detailed or accurate information here, but a basic understanding is essential. I will show several examples later in this article. Broaden your knowledge – Learning 3000 characters is not like learning 30 characters a hundred times, it’s much, much harder. You need to relate characters you learn to those you already know. If you keep mixing up characters, you should look not only at the character in front of you, but also other characters you might be confusing it with. If you thought a character was written a certain way, but it turns out you’re wrong, does the character you wrote exist? Comparing similar characters in this way can be very useful. Put it in context – If you learn character components, put them in characters; if you learn characters, put them in words or sentences; if you learn words, put them in sentences. This is essential not only because it shows you how they are used, but also because learning things in isolation is always harder than learning them in context. Your goal is to be able to understand and use the characters and words you’re learning, so the way you practise shouldn’t be too far removed from that goal. In this article, I will go through this procedure with some of the most difficult Chinese characters. This difficulty is not based on anyone’s opinion, it’s based on statistics fetched from our database. We know which characters Skritter users in general find most difficult. We don’t know why, of course, but it’s often possible to guess. 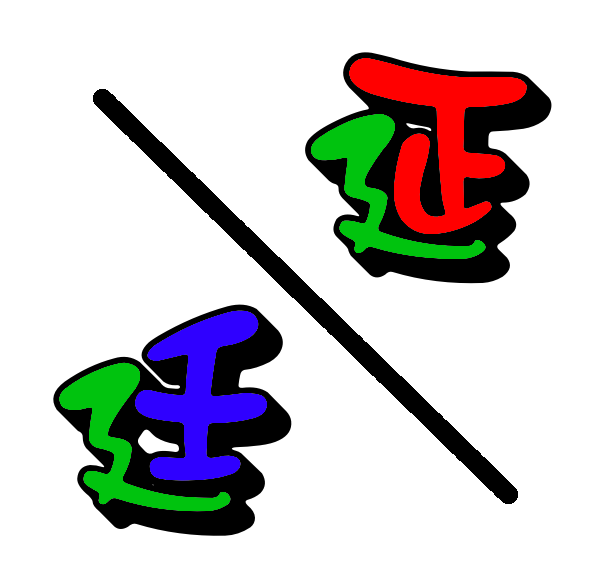 This character is a left-right composition with 耒 on the left and 毛 on the right. It’s a semantic-phonetic compound, meaning that one part represents sound and the other meaning. In this case, 耒 means “plough” and gives the meaning of the character, while 毛 (máo) “hair” gives the pronunciation (it’s the same final, but different tone and different initial). By far the most common word with this character in it is 消耗 (xiāohào) “to consume”. Apart from this, it might also be a good idea to know that it can be added after other characters to indicate consumption, such as 油耗 (yóuhào) “fuel consumption” or 時耗 (shíhào) “time consumption”. Why is this character difficult? I think it’s because it’s hard to keep track of the number of horizontal strokes. The radical 耒 has an unusual large number of horizontal strokes and can be confused with 末, 未, 木 or 禾. This is why it’s important to know your components! If you know what “plough” looks like, you’ll be fine. If you find this confusing, look up the other characters and make sure you know what they mean. These character reappear all over the place, learn them now! Furthermore, 毛 might be confused with 乇 or perhaps 手. However, this character is pretty common and you should learn it if you haven’t already. The phonetic clue here is valuable. 毛 and 耗 rhymes! Neither 乇 (tuō) nor 手 (shǒu) rhymes with 耗. This is a top-down construction with 監 at the top (note that in simplified Chinese, this has been reduced to five strokes which as far as I know don’t mean anything on their own) and 金 at the bottom. This is also a semantic-phonetic compound, with 監 (jiān) “prison; supervise” giving the sound (same initial and final, but different tone) and 金 (jīn) “gold; metal” giving the meaning (something that reflects or mirrors). An additional note for traditional characters is that it could also be a left-right composition 鑑; both are listed in the Ministry of Education dictionary. There are two common words this character appears in: 鉴于/鑒於 (jiànyú) “in view of” and 鉴定/鑒定 (jiàndìng) “to evaluate”. I think there are two reasons this character causes problems. The first is that the component parts haven’t been learnt properly. 金 is one of the most common character components, so that shouldn’t be a problem, but while 监 is common (rank around 1000), it’s still not easy to write. The second reason is that in simplified Chinese, it’s not immediately obvious that 鉴 contains 监. By knowing that, it might be easier to remember both the pronunciation and how to write the character. Just like the first example above, this is a left-right composition and it is, surprise, also a semantic-phonetic compound. Do you start understanding why these characters are very important to understand now? To the left, we have one of the most common semantic (meaning-bearing) components 讠/訁”word; speech” and on the right, we have 延 (yán) “delay; extend”. The phonetic component shares the same final, but has different initial and tone. This character occurs early in many textbooks, so even many beginners will have encountered it, usually in the word 圣诞/聖誕 (shèngdàn) “Christmas”. It’s also very common in the word 诞生/誕生 (dànshēng) “to be born”, although this is more formal and not something beginners really need worry about. I think the reason this character is hard to learn is partly because it contains many strokes, but also because there is another phonetic component that looks very similar. Compare 延 and 廷. It’s really hard to remember such small differences! However, if you know that all characters with 延 are pronounced with the final -an or -ian, and that all characters containing 廷 are pronounced “ting” (various tones), it’s not so hard anymore. Just by knowing that it’s “dàn”, you know that it should be 延 and not 廷! I’ve written more about this here. That’s it for today, I’ll be back later with more characters from our list of tricky cases. Stay tuned!